Surveys reveal that concerns about data quality can create barriers for companies deploying Analytics and BI initiatives. How can you readily identify and correct data quality issues at every step of your big data analysis to ensure accurate insights into customer behavior? In this webcast, we'll discuss how IT and business users can leverage self-service visualizations to quickly spot and correct data anomalies throughout the analytic process. 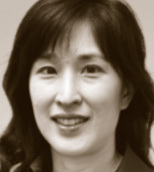 Karen is Senior Director, Product Marketing at Datameer. With over 15 years of experience in enterprise software, Karen Hsu has co-authored 4 patents and worked in a variety of engineering, marketing and sales roles. Most recently she came from Informatica where she worked with the start-ups Informatica purchased to bring big data, data quality, master data management, B2B and data security solutions to market. Karen has a Bachelors of Science degree in Management Science and Engineering from Stanford University.